If there is one place in the world right now that is chuckling at our cold weather, then Australia would be that country. With spring just about to end and summer due to arrive in just over a week, it truly is the place to be right now. As our temperatures continue to plummet into single digits and even negative figures, Down Under the heat is rising and the sun tans are spreading like wildfire. For those of us who aren’t going away during winter, and the next holiday seems like a lifetime away, it may not be the best news to hear, but it does get the mind wondering. When you scroll through our wonderful pictures shot on the scenic East Coast of Australia, we hope it will give you some inspiration and ideas of where to go next summer. 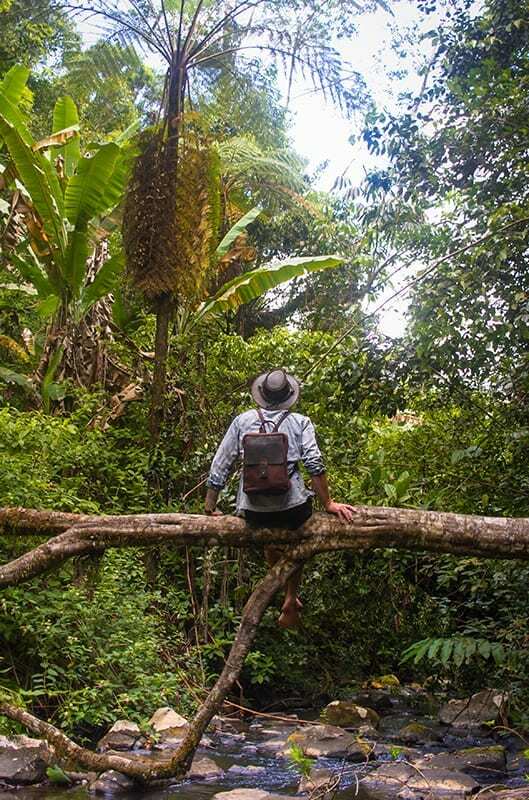 Even if travelling to the other side of the world might be out of your reach, you’ll see how our leather accessories can be used wherever you decide to lay your hat. As you can probably tell, we are huge fans of Australia (our entire range is inspired by the beautiful country) and we hope that wherever you end up over the winter and warmer months, you’ll be relying on our help to prepare. 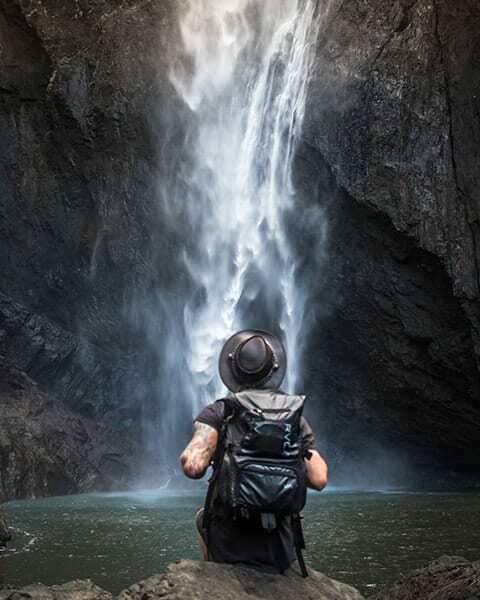 If there’s one thing we are experts about at Wombat, then that would be outdoor leather hats. Inspired by the beautiful and unforgiving Outback, our designs are made to reflect the stunning natural views and the rugged landscapes. 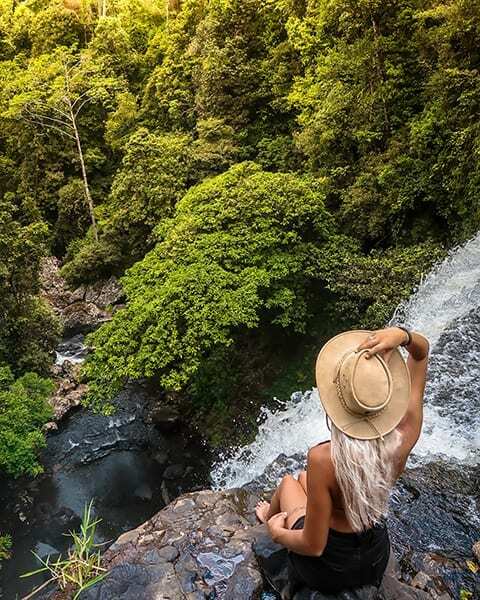 Heading away from the urban areas of Australia will bring you to regions that have been left completely untouched, where nature rules the land. The East Coast is no different, and heading out to explore means you have to protect yourself from the heat, which is where our carefully crafted hats come in. Our Walkabout hat is perfect for keeping the searing sun from your head, plus it is currently on sale for only £25. With so much beautiful scenery to take in on your adventures, you can use this full grain skipper hat safe in the knowledge it will offer you full protection. You can wonder for hours one end once you step out in the gorgeous countryside and the sun goes down the sunsets are truly a sight to behold. 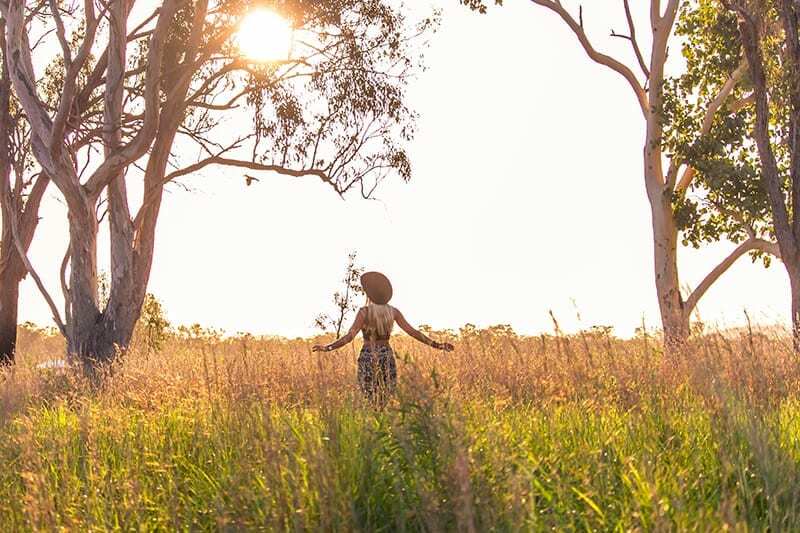 The history of Australia can be felt in almost every footstep you take across the dusty trails and with a Wombat leather hat in tow, you’ll feel comfortable and relaxed too. For all the shelter and comfort from the sun a leather hat will provide, it shouldn’t be forgotten that rain can just as easily fall when you are out and about. These can sometimes be prolonged downpours or quick flash showers, so it’s best to come prepared. Either way, making sure you have a hat to protect you from the heat will also double-up should the weather suddenly change. And once the sun rears its head again, you’ll have an automatic dryer on hand to make sure your hat stays in perfect shape! The always popular Outback hat is as reliable and long-lasting as it looks. It’s the go-to choice for many of our customers who are venturing out into expansive areas of land like Australia. It can also be worn when you decide to head back to the city, adding that touch of country class in an urban environment. Its shower proof too, which is just the ticket if the weather outlook for the day is set to be unpredictable. The wide brim keeps you in the shade in the warmer moments too, giving you the ideal coverage for your adventure holiday. Is It Time For A New Leather Bag.? Wherever you head away to on your next mini break or extended holiday, you must be sure to invest in a trusty leather bag to travel with you. If you’ve been using the same old dusty bag for too many years, then a holiday gives you the perfect excuse to finally splash out on a new one. It’s especially true if you’re planning on travelling around to different locations on your break, rather than staying rooted to one spot. You’ll want a leather bag that withstands any test you throw at it, and not one that will wither like a flower when the going gets tough. 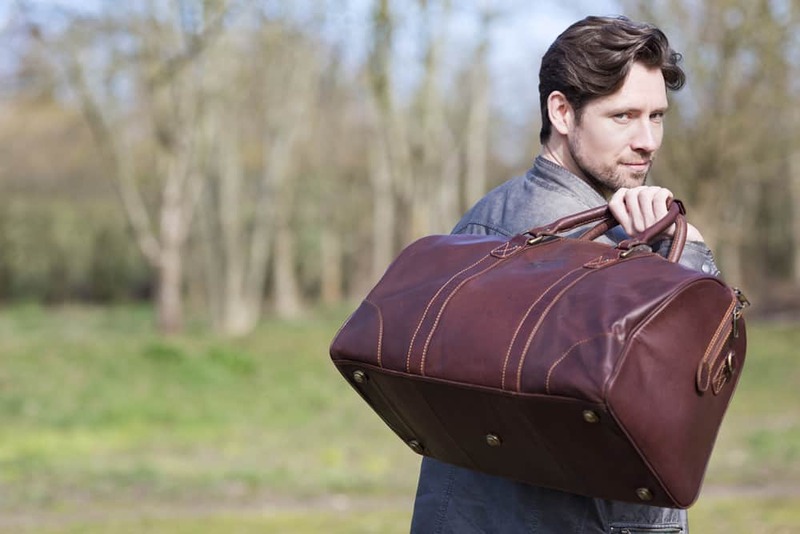 If there was ever a bag that can withstand the testing weather of the Outback it’s the Outback Brown Leather Holdall Travel Bag. The combination of its natural feel and texture draws out the individual character of the animal into the body of the leather. Not only is it tough and durable but it looks stylish and will blend in with your travel attire. It’s a perfect bag for regular or occasional travellers, and will see you through your holiday and beyond. We know exactly what our customers want on their journeys and we craft every product with the same level of care and attention. Hat’s The Way We Like It.! Hopefully you’ve enjoyed some of the images of Australia and it’s got your mind buzzing thinking about your next holiday. We’ll admit that we’re completely biased, but Australia really is a beautiful country full of history and culture and strikes the ideal balance between city life and country relaxation. Our leather products are inspired by the sun filled skies and golden sunsets that cast their eye over the terrain of the Outback. Every time you wear one of our leather hats we want you to feel just as inspired and ready to take on the world too. The saying goes that if the shoes fit, wear it, and we’d have to say the same for hats too! Getting the right fit is as important as the style you choose to go for. The hat needs to rest snugly on your head so isn’t too tight or too lose, so you spend half the day feeling uncomfortable. For full protection against the elements it’s an important factor too. If a hat is worn too tightly in the heat, your own body temperature will only increase further, which defeats the whole its whole purpose. These are just a very small range of some of the hats and bags you will find in our Wombat store online. If you want to hear about our latest adventures around the world, it’s easy to do so. Just follow us on Twitter and you’ll get regular updates about new additions to our range. Tweet us a message anytime or get in touch if you want to find out more about our beautiful leather hats and bags!